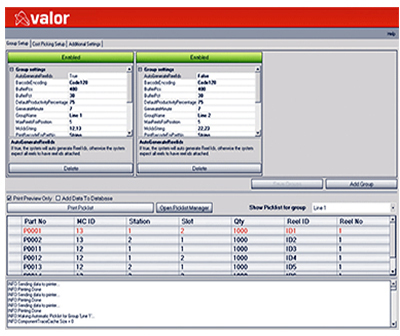 Valor is the PCB industry’s first true end-to end software solution, extending Mentor offering from product design to the manufacturing shop floor. 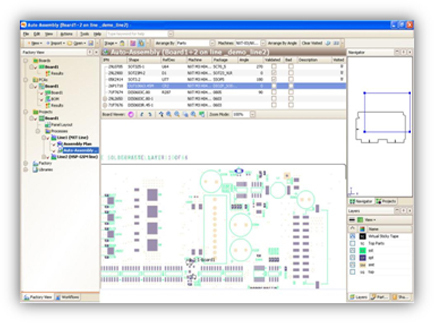 Valor software covers all phases of PCB manufacturing from new product introduction to assembly and test. This module provides a single point of origin for easy-to-manage factory setup with specific line definitions, product structure, and registration of materials with their attributes and release of production work orders to the master schedule. 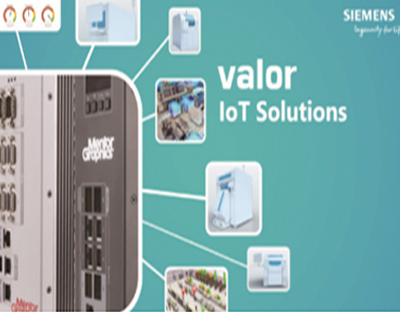 This module resolves many operational challenges by creating a centralized infrastructure to manage and leverage manufacturing operational data. Centralization eliminates data redundancy and configuration errors, and provides the backbone for interoperability. This module will improve your on-time delivery, increases asset utilization and reduces machine down time, especially in high-mix PCB assembly operations. 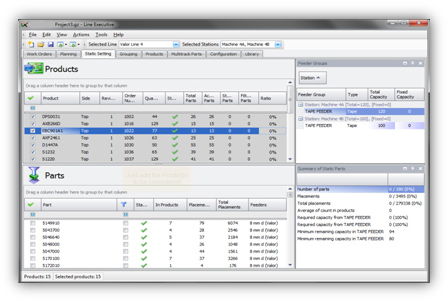 Eliminate the guesswork in production planning by automating optimized family setups on multiple lines with one click. Family setups and optimal production sequence are based on many factors:Individual machine placement rate. Material is kitted and delivered to the line based on real-time pull signals from each machine, the current status of work orders and pending changeovers. Minimize the material cycle from receipt of goods through final assembly with automated tracking of material consumption, waste and movements through the factory. Essential transactions can be reported to ERP for improved inventory accuracy and control. Valor MSS Material Management places the right material at the right place at the right time eliminating material bottlenecks and wait times. This module will view and analyze real-time graphical status of events on the assembly line. 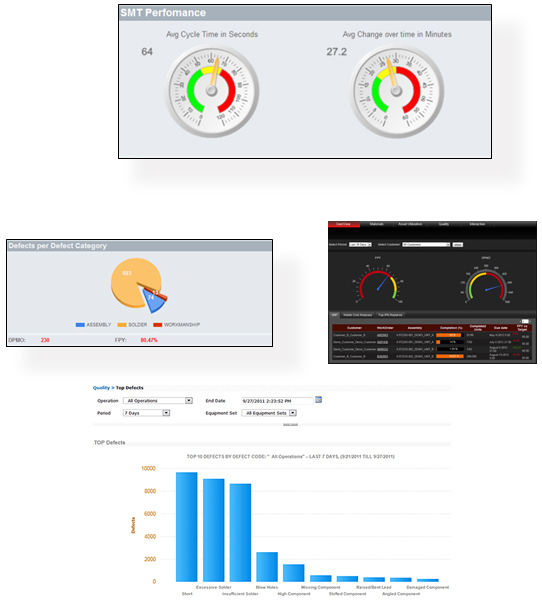 Real-time display includes working status, cycle time, wait times, and error information along with many other performance indicators. Monitor the line performance online, in the office or remotely. View the exact location of bottlenecks and the duration changeover downtime between jobs and much more. The graphical display makes it easy to isolate and improve problem areas, increase asset utilization and get more production out of existing assets. With Valor MSS Material Verification, production machines will not run until all material is correctly setup. Extensive capabilities such as the ability to block a feeder when MSD sensitive component has expired, or when a feeder needs maintenance, are included for all users. manufacturing errors by enforcing correct setups, change-overs, splicing, feeder positioning, MSD or RoHS constraints and feeder management. Advanced users can take advantage of support of LED light class binning and on-the-fly verification of variant setups. Trace material history per PCB ID, work order or time-code to minimize liability and to comply with customer traceability requirements. The traceability record includes data from all assembly workcells (automated and manual) and captures additional information including the operator working at the time, and the program running on the equipment. 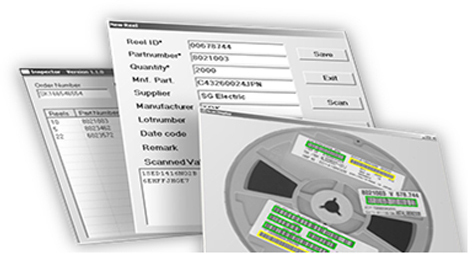 Trace the history of materials used in production according to vendor data including the manufacturer’s part number, batch or date code, unique reel ID, production work-order and the process step in the routing. Guided failure diagnostics and closed loop repair. Defect “Cause Alert” to warn the work cell of origin. Visual inspections, manual defect logs and interactive work instructions. Enforced routing to ensure all steps are completed in the correct order. Automated data collection from test and inspection equipment. The paperless solution creates and manages the product genealogy and the complete build record to meet exacting requirements for process traceability. 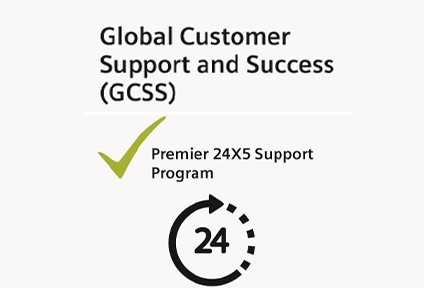 Core features include skills management, paperless document delivery, data collection, and managed product repair. Valor MSS Quality Management will help you achieve the goal of zero defects. This module give managers and engineers the decision support they need with full visibility and clear insight on information from the entire manufacturing process. The Business Intelligence (BI) module helps you improve on-time delivery, eliminate waste and increase asset utilization and quality. BI reveals which problems to solve, in which order, to achieve specific business goals and priorities.